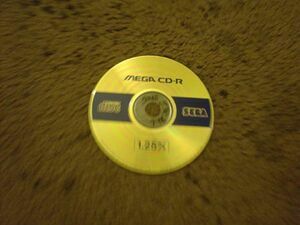 A standard compact disc, often known as an audio CD to differentiate it from later variants, stores audio data in a format compliant with the red book standard. An audio CD consists of several stereo tracks stored using 16-bit PCM coding at a sampling rate of 44.1 kHz. Most compact discs have a diameter of 120 mm, which is designed to hold 74 minutes of audio, and in practice slightly more. Compact disc technology was later adapted for use as a data storage device, known as a CD-ROM. The compact disc was developed in 1979 by Philips and Sony. Philips developed the general manufacturing process, based on their earlier LaserDisc technology, while Sony contributed the error-correction method. Early compact disc prototypes produced by Philips were 115 mm in diameter, with a 14 bit resolution and a 60 minute capacity. Sony insisted on a 16 bit resolution and 74 minute capacity, which increased the size of the disc to 120 mm. The reason for the increase in capacity is often rumored to be to hold even the slowest versions of Beethoven's 9th Symphony, though this has never been verified. Compact discs were first mass produced in 1982, in Langenhagen near Hanover, Germany. Compact discs are made from a 1.2 mm thick disc of polycarbonate plastic coated with a much thinner aluminium (originally gold, which is sometimes still used for its data longevity) layer which is protected by a film of lacquer. The lacquer can be printed with a label. Common printing methods for compact discs are silkscreening and offset printing. CDs are available in a range of sizes but by far the most common is 120 mm in diameter, with a 74 minute audio capacity and a 650 MB data (See storage capacity). The information on a standard CD is encoded as a spiral track of pits moulded into the top of the polycarbonate layer (The areas between pits are known as lands). Each pit is approximately 125 nm deep by 500 nm wide, and varies from 850 nm to 3.5 μm long. The spacing between the tracks is 1.5 μm. To grasp the scale of the pits and land of a CD, if the disc is enlarged to the size of a stadium, a pit would be approximately the size of a grain of sand. The spiral begins at the center of the disc and proceeds outwards to the edge, which allows the different size formats available. A CD is read by focusing a 780 nm wavelength semiconductor laser through the bottom of the polycarbonate layer. The difference in height between pits and lands is one quarter of the wavelength of the laser light, leading to a half-wavelength phase difference between the light reflected from a pit and from its surrounding land. The destructive interference this causes reduces the intensity of the reflected light compared to when the laser is focused on just a land. By measuring this intensity with a photodiode, one is able to read the data from the disc. The pits and lands themselves do not represent the zeroes and ones of binary data. Instead a change from pit to land or land to pit indicates a one, while no change indicates a zero. This in turn is decoded by reversing the Eight-to-Fourteen Modulation used in mastering the disc, finally revealing the raw data stored on the disc. The compact disc specification recommends a constant linear velocity (CLV) of 1.22 m/s and a track pitch of 1.59 micrometres. This leads to a maximum audio program length of 74 minutes on a 120 mm disc, or around 650 MB of data on a CD-ROM. However, in order to allow for variations in manufacturing, a disc with data appearing slightly more densely is allowable. By deliberately making a disc with this density, we can increase capacity and remain within or near spec. Using a linear velocity of 1.1975 m/s and a track pitch of 1.497 micrometres leads to a new maximum capacity of 79 minutes and 40 seconds, or 702 MB. Although such discs allow for little variation in manufacturing, they are generally reliable and only a small number of players are known to reject them. Some blank discs (see recordability) are available in 90 and even 99 minute configurations. Besides the increased density of their tracks, these run into two other technical problems. The first is that the maximum capacity a disc can declare itself as having is, according to the recordable CD specification, just under 80 minutes. The second is that timing markers on the disc with a value between 90 and 99 minutes are normally used to indicate to the player it is reading the beginning of the disc, not the end. These problems, as well as variable compatibility with CD recorders and software, mean discs larger than 80 minutes are generally regarded as a niche product. Injection molding is used to mass produce compact discs. A 'stamper' is made from the original media (audio tape, data disc, etc.) by writing to a photosensitive dye with a laser. This dye is then etched, leaving the data track. It is then plated to make a positive version of the CD. Polycarbonate is liquified and injected into the mold cavity where the stamper transfers the pattern of pits and lands to the polycarbonate disc. The disc is then metallized with aluminum and lacquer coated. Recordable compact discs are injection molded with a "blank" data spiral. A photosensitive dye is then applied, and then the discs are metallized and lacquer coated. The write laser of the CD burner changes the characteristics of the dye to allow the read laser of a standard CD player to see the data as it would an injection molded compact disc. The compact disc specification does not include any copy protection mechanism and discs can be easily duplicated or the contents "ripped" to a computer. Starting in early 2002, attempts were made by record companies to market "copy-protected" compact discs. These rely on deliberate errors being introduced into the data recorded on the disc. The intent is that the error-correction in a music player will enable music to be played as normal, while computer CD-ROM drives will fail with errors. This approach is the subject of an evolutionary arms race or cat-and-mouse game — not all current drives fail, and copying software is being adapted to cope with these damaged data tracks. The recording industry then works on further approaches. Philips have stated that such discs, which do not meet the Red Book specification, are not permitted to bear the trademarked Compact Disc Digital Audio logo. It also seems likely that Philips' new models of CD recorders will be designed to be able to record from these 'protected' discs. However, there has been great public outcry over copy-protected discs because many see it as a threat to fair use.